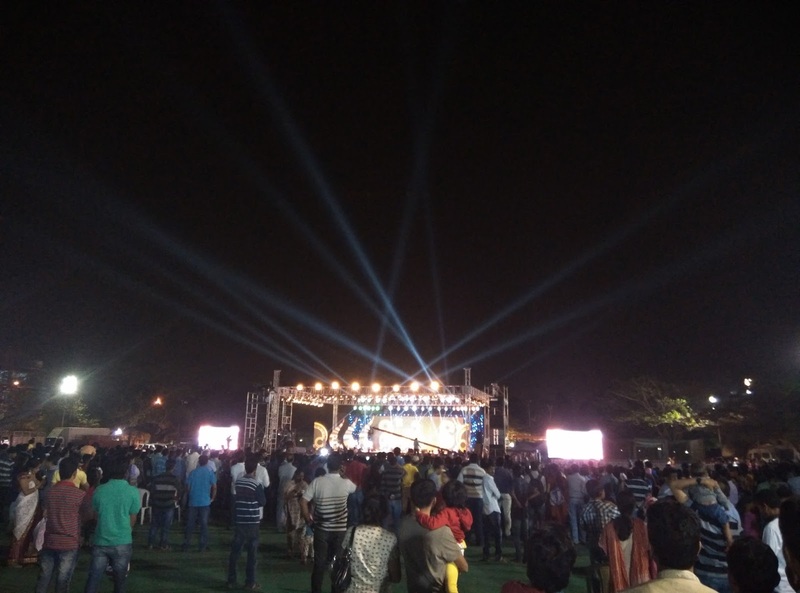 The Chandraguptha Maurya ground was decked up with a huge stage which befitted the events that were lined up. 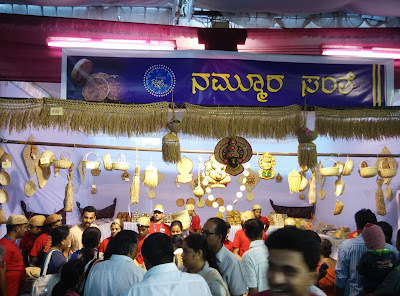 There was a section to showcase the art and culture of Nammooru. 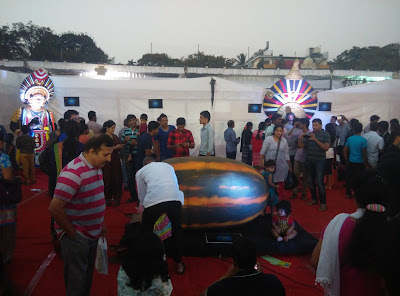 The hulivesha and bhootadakola was an attraction for visitors. 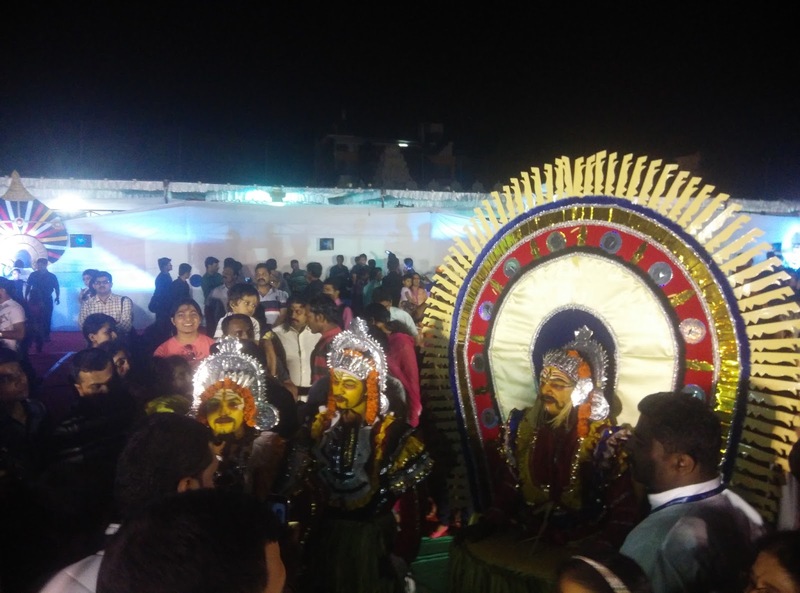 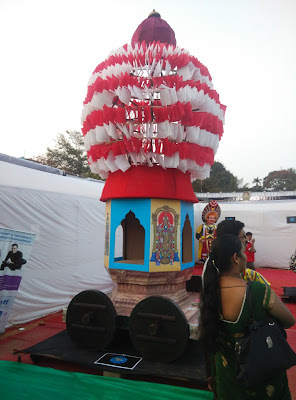 Among the events there was Karavali themed fashion show involving panche, yakshagana and other attires unique to our coast. The kids who represented Dakshina Kannada in some of the talent shows sang for the crowd. There was 30mins comedy drama from the famous Mooru Muthu team. 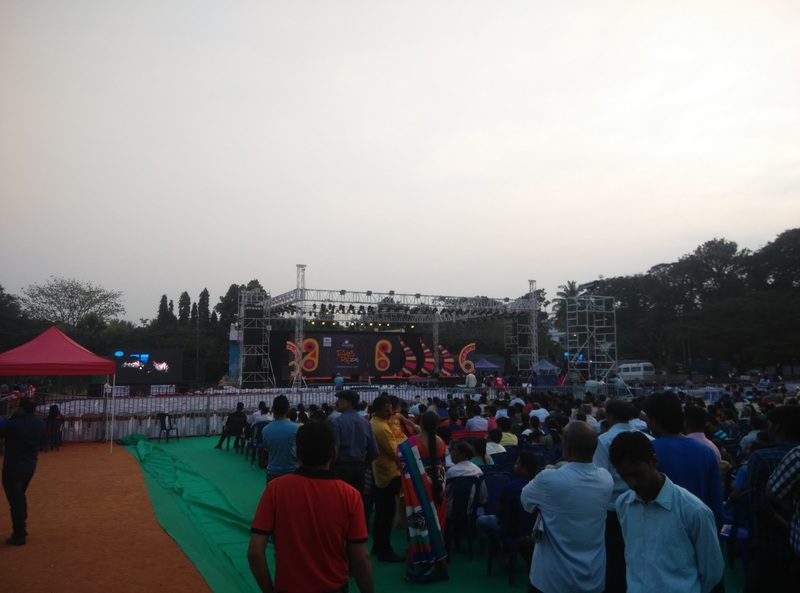 Supriya of the Rangitaranga fame along with other famous singers such as Narsimha Nayak and Gurukiran were part of the concert organized over two days. 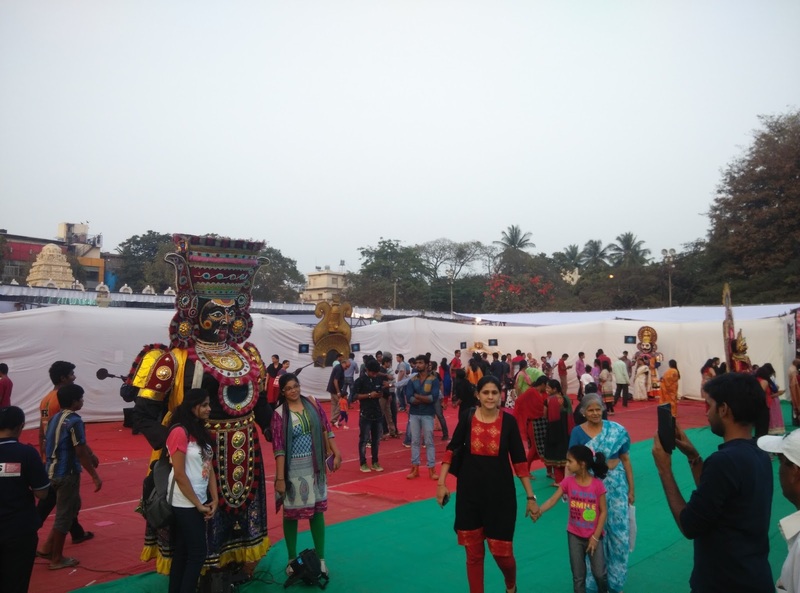 There was also a 15mins Yakshagana performance along with some artists performing fire tricks. 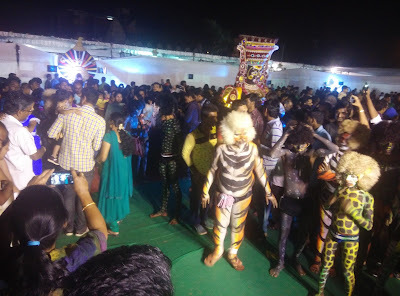 Sadly I didn’t have a good camera to capture any of this. 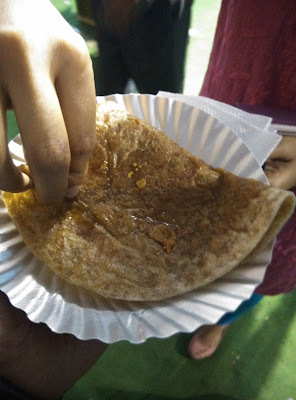 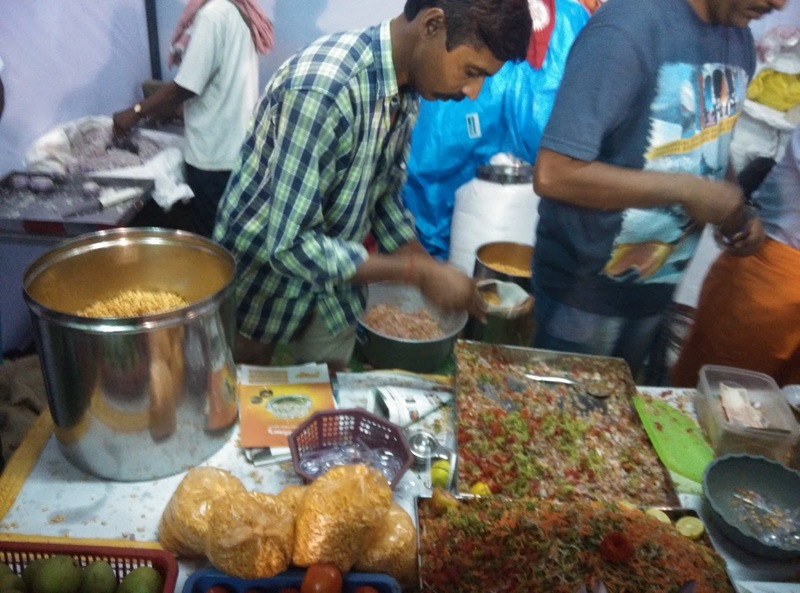 The most important part of the two days – food. 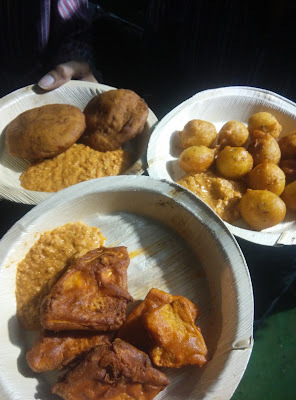 In veg options I can highlight the Mangalore buns, biscuit rotti, neer dosa, mundakki upkari and hoLige among a bunch of other dishes. In non veg there was chicken sukka and fish, a whole variety of it.